One of my favorite places in the Narrows of Zion National Park is this bend in a river where a group of trees have taken up residence. 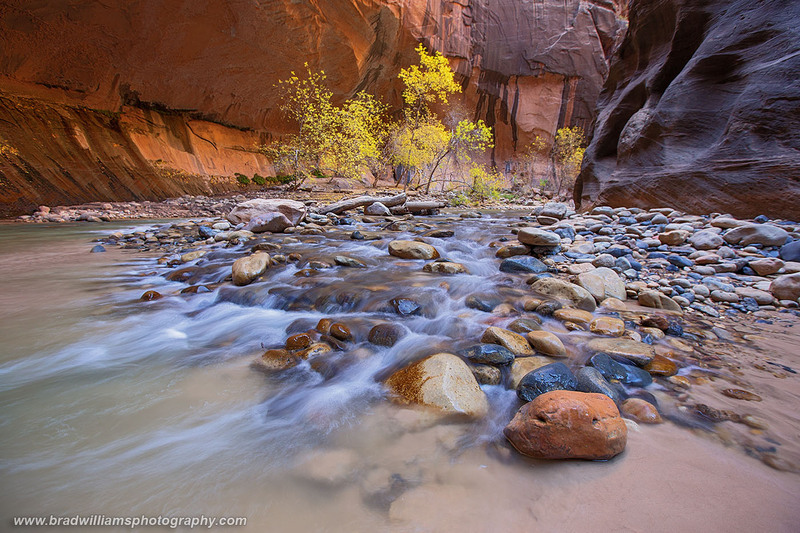 In the fall their beautiful golden leaves contrast nicely with the red rock and desert varnish on the canyon walls. Photo © copyright by Brad Williams.